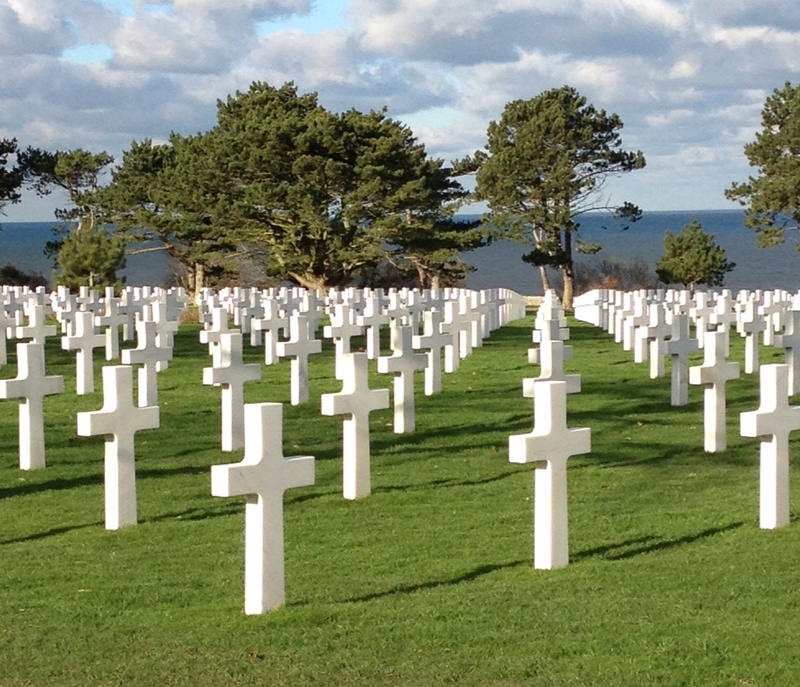 In my last blog post, I wrote about our visit to the American cemetery near Omaha Beach, Normandy. We also visited British and German cemeteries in Normandy. The cemeteries are different in important ways that helped me realize the losses experienced by people from different sides of the conflict in World War II. At the German cemetery at La Cambe, the remains of 21,000 German personnel are interred. The American cemetery at Omaha Beach is visited by more than one million people each year, and there were scores of people there during our visit. People walked among the American graves, filled the visitors center, and took part in organized tours. During our time at the German cemetery, however, there were only two other people present, and quiet filled the air. Darkly rises the mound over the grave of the soldiers. Darkly stands God’s command over the dead of the war. More brightly still shines their comfort: The final word is God’s. The British cemeteries around Normandy differ from the American cemetery in two significant ways. 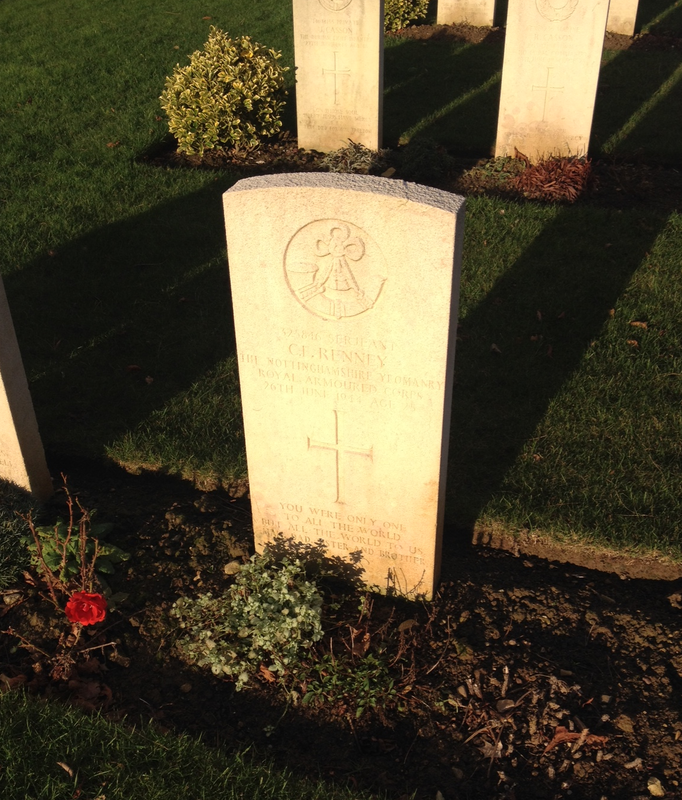 First, British cemeteries include remains of soldiers from different countries. 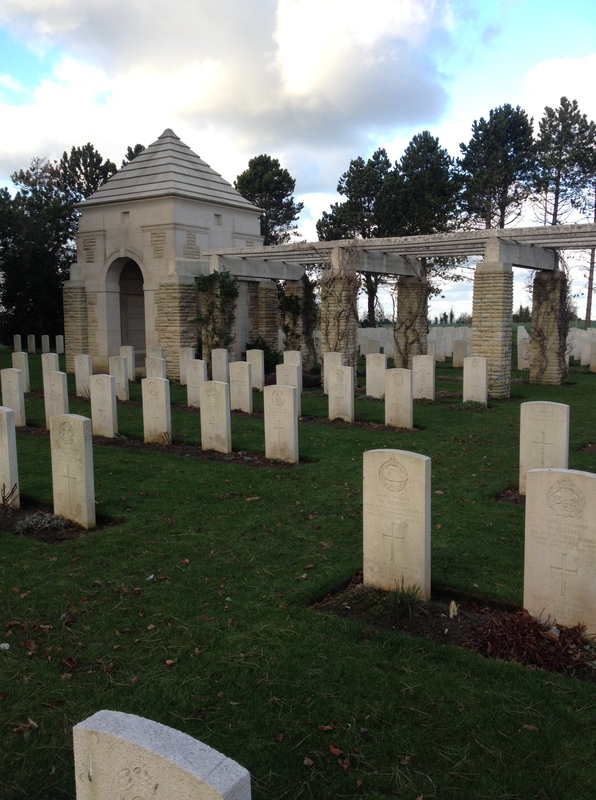 We visited British cemeteries in Bayeaux and Ryes. At the Ryes cemetery, 335 Germans are buried along with the Allied dead. 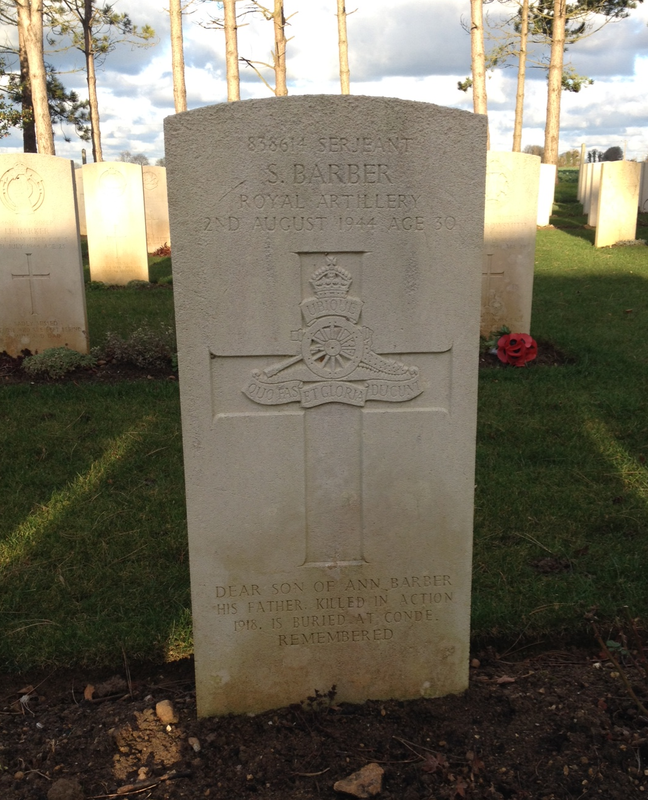 Serjeant S. Barber, Royal Artillery. Died 2nd August 1944, Age 30. Dear Son of Ann Barber. His father killed in action 1918 is buried at Conde. Remembered. This entry was posted in D-Day, Family Travel, France, Normandy, Travel and tagged D-Day, Family Travel, France, Normandy, Travel on January 24, 2015 by Dean Allen. 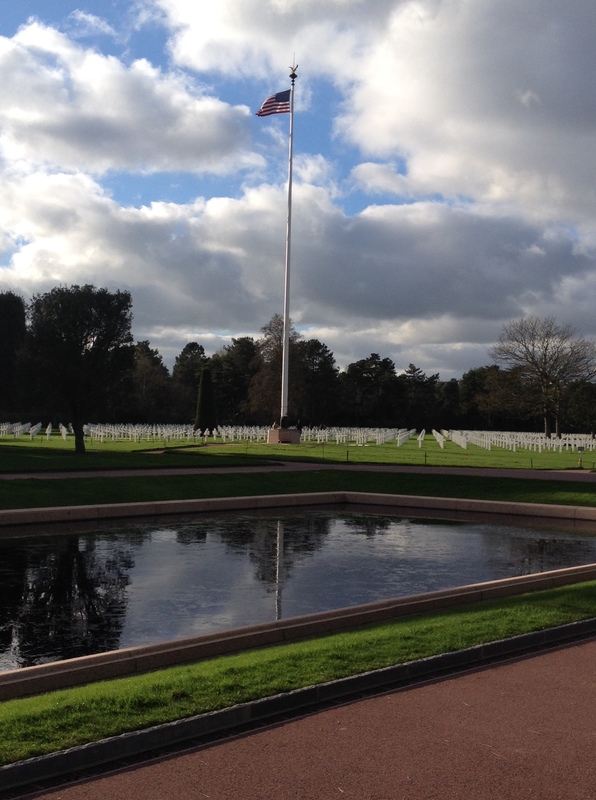 During our time in Normandy, we planned to visit the American cemetery to remember the soldiers who died there. 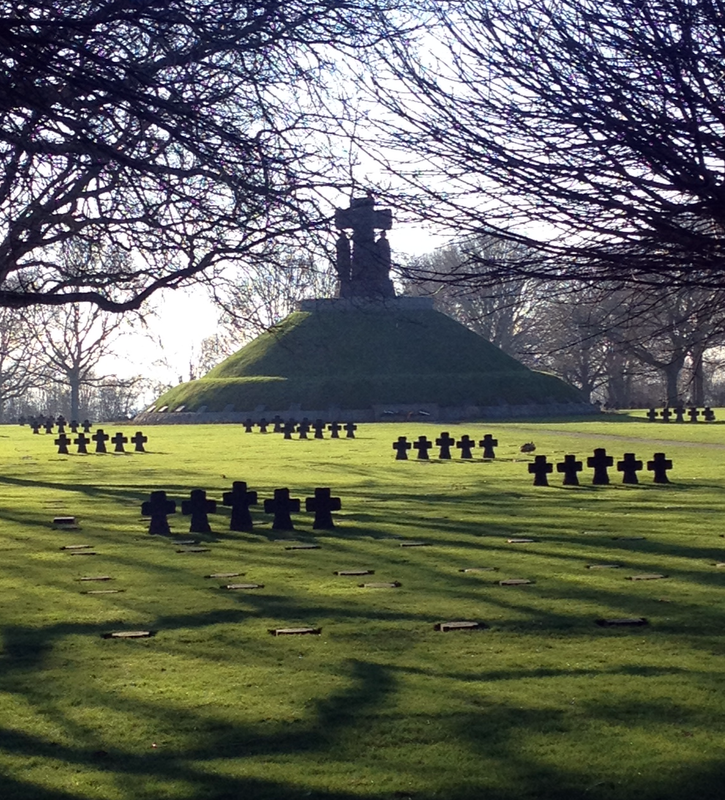 What we did not expect, however, were deeply meaningful visits to British and German cemeteries. In this post, I will reflect on our visit to the American cemetery, and in the next post, I’ll write about our time at the German and British cemeteries. The Normandy American Cemetery and Memorial sits high above Omaha Beach near the towns of Saint-Laurent-sur-Mer and Colleville-sur-Mer. The American Battle Monuments Commission maintains the cemetery, which is picturesque with white grave markers in neat rows. The grounds are immaculately kept, and the serenity that fills the place is a fitting memorial to the brave service members who died in Normandy. Much like Arlington National Cemetery near Washington, DC, the setting is moving and inspiring. The American cemetery contains the graves of 9,387 service members, and the names of 1,557 service members are inscribed on the Walls of the Missing. In addition to the grounds, there is an excellent visitors center, which opened in 2007. You can learn the larger story of Operation Overlord and hear stories of individual men and women whose lives were altered in Normandy. Some of them died there, some were injured, and others lost their sons, husbands, fathers, or brothers. One particularly moving experience is the movie, Letters, which focuses on letters written by service men who died in Normandy. While hearing their letters to loved ones and seeing pictures of these young men before and during their military service, I realized the depth of the loss when they died in Normandy. Visiting the cemetery is well worth the time and effort involved. 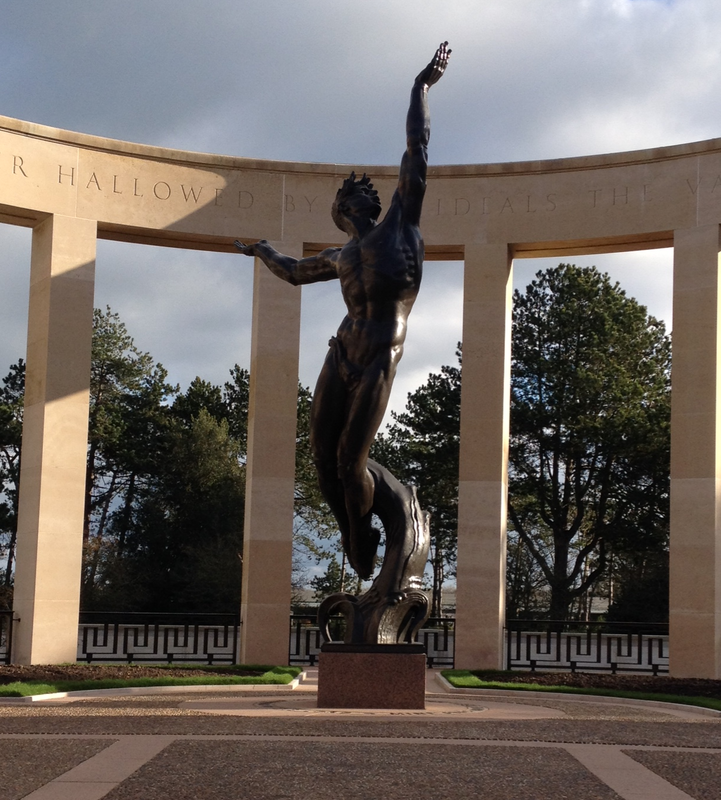 It is indeed a fitting memorial to the American service members who died on D-Day and in the Battle of Normandy. 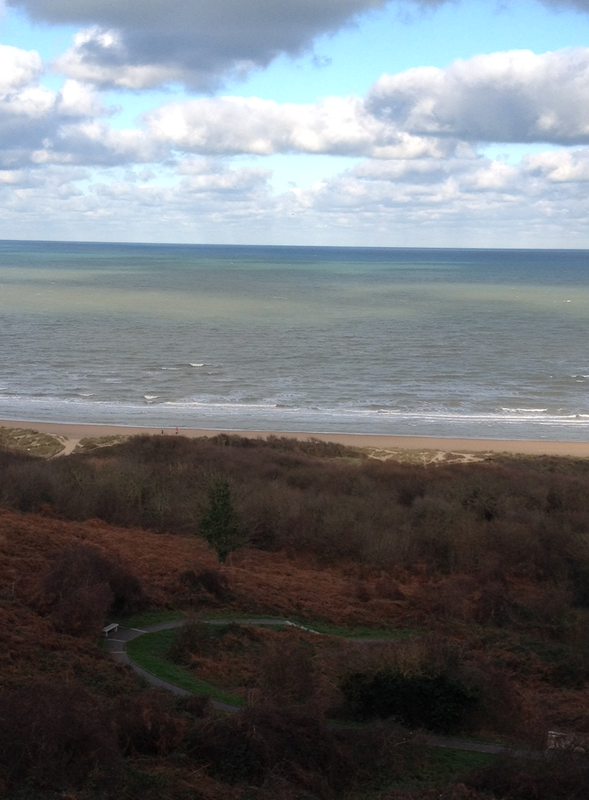 This entry was posted in D-Day, Family Travel, France, Normandy, Travel and tagged D-Day, Family Travel, France, Normandy, Travel on January 20, 2015 by Dean Allen. As our family prepared to depart from France, we arrived in Paris on 7 January. As we checked into our hotel, we saw a television monitor with scenes from the attack at Charlie Hebdo. At that moment, the gunmen were still at large and believed to be northeast of Paris in the direction where we were staying. Police presence was heavy that day and again at the airport as we departed the next day. This was a chilling reminder that hostility still permeates much of our world. While at the cemeteries, I reflected on one of my favorite hymns, “This Is My Song, A Hymn of Peace.” While serving as a pastor in the United States, I often included this hymn in our worship on the Sunday closest to July 4, when Americans celebrate the founding of the country. The hymn reminds me that many people from many countries love their homelands, and it calls people to peace that transcends national borders. Given the recent events in France, the prayer of this song is especially fitting. May it be so. This entry was posted in Boston University, Charlie Hebdo, D-Day, Family Travel, France, Normandy, Travel and tagged Boston University, Charlie Hebdo, D-Day, Family Travel, France, Normandy, Travel on January 16, 2015 by Dean Allen. 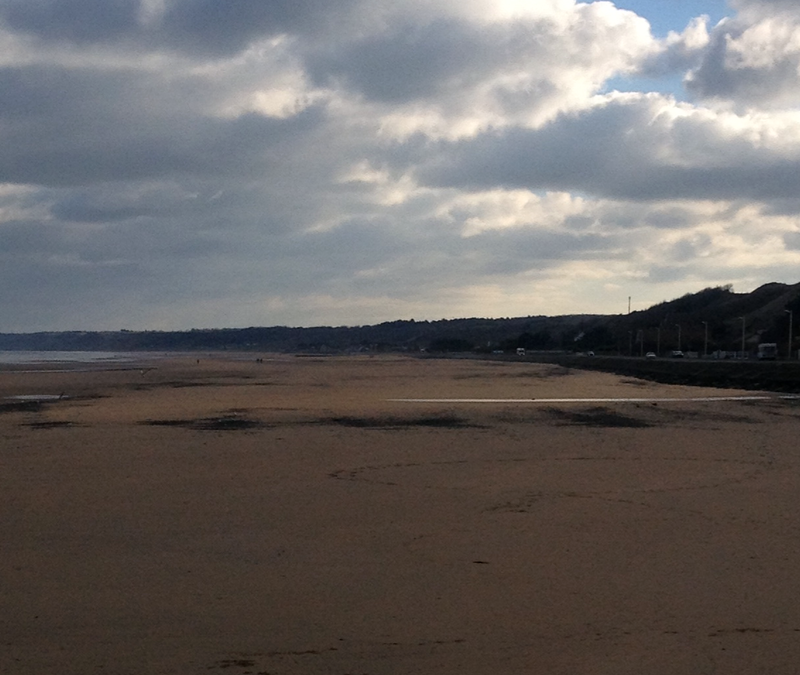 One of the highlights of our time in Normandy was visiting the beaches where the D-Day invasion began on June 6, 1944. While walking on Omaha Beach, the scene of so many American casualties, I was struck by the incongruity of what I saw there seventy years later. The beach was calm, with a few clouds in the sky, and people enjoying their time on the shore flying kites, walking dogs, and playing with children. A dear family friend, Zedekiah Cassel, had been a young American soldier landing on the beach at Normandy. Zeddie told a few stories about his time in Normandy, and I wondered what he would have thought to see people frolicking on the same beach where he nearly lost his life. Would he be pleased or upset, concerned or happy? You see these people out here swimming and sailing their little pleasure boats and taking advantage of the nice weather and the lovely beach, Walter, and it is almost unreal to look at it today and remember what it was. But it’s a wonderful thing to remember what those fellows twenty years ago were fighting for and sacrificing for, what they did to preserve our way of life. Not to conquer any territory, not for any ambitions of their own. But to make sure that Hitler could not destroy freedom in the world. 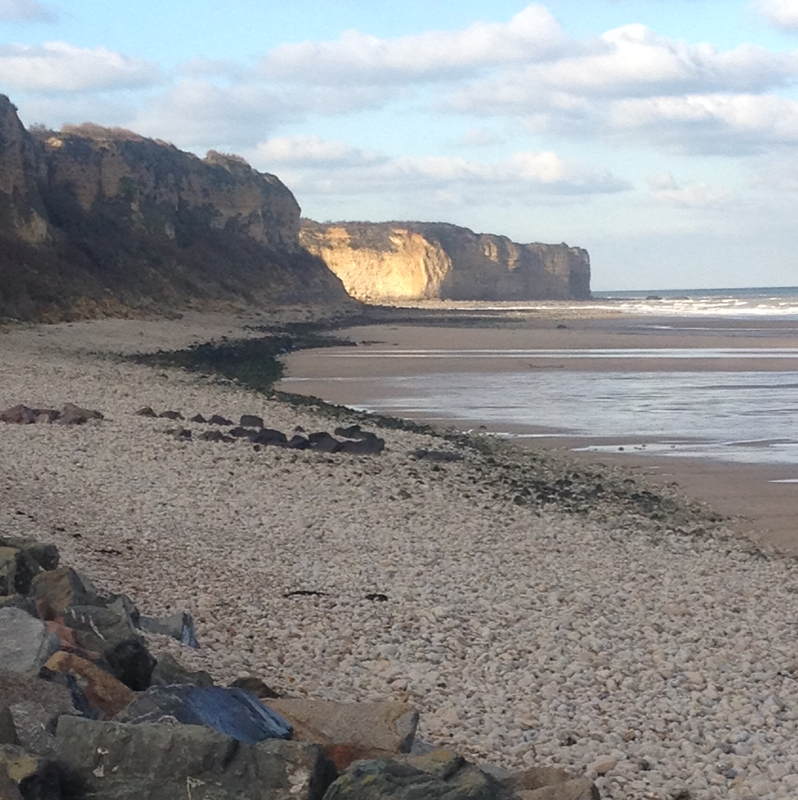 I suppose the setting in Normandy today, with its calm beaches and tranquility, is what the soldiers would have hoped for. Standing there on the quiet beach and later looking down from the cliffs, I was struck deeply by what they must have faced that day — and how fortunate I am today. This entry was posted in D-Day, Family Travel, France, Normandy, Travel and tagged D-Day, Family Travel, France, Normandy, Travel on January 15, 2015 by Dean Allen. We have included house-sitting as part of our round-the-world family adventure. We have used a couple of online sites — MindMyHouse.com and HouseCarers.com — that match homeowners who will be away with people willing to care for their home and pets. Initially we were motivated to house-sit because it saves on the cost of housing. Generally, in exchange for caring for the owner’s home and pets, you are provided a nice play to stay (thus saving the cost you would have paid for a hostel, hotel, or short-term rental.) We quickly learned other, far more important benefits of house-sitting. Rather than staying in a hotel separated from local people and habits, living in someone’s home provides you a close experience of regular, day-to-day life in the community. We have been invited to use fully stocked homes. We have learned about local markets and shops. We have received information from trusted local sources about places to visit and experiences to include in our travels. We have met caring neighbors who invited us to their home for dinner. And, we have come to love dear animals. 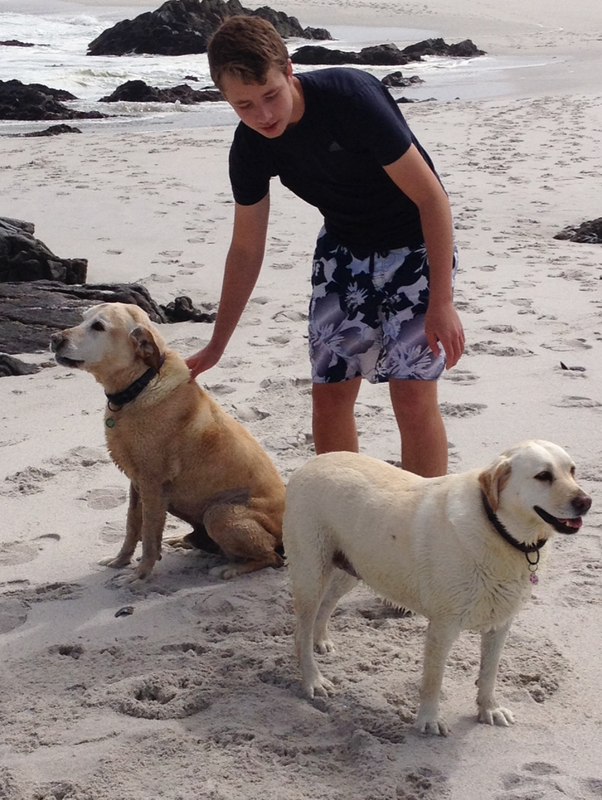 On one house-sitting assignment, we stayed for a month just north of Cape Town, South Africa, and our duties included twice-daily walks on the beach with loving Labrador Retrievers. The homeowner shared wonderful hospitality with us. We still are in touch with the homeowner several months after our assignment to check on our furry friends. 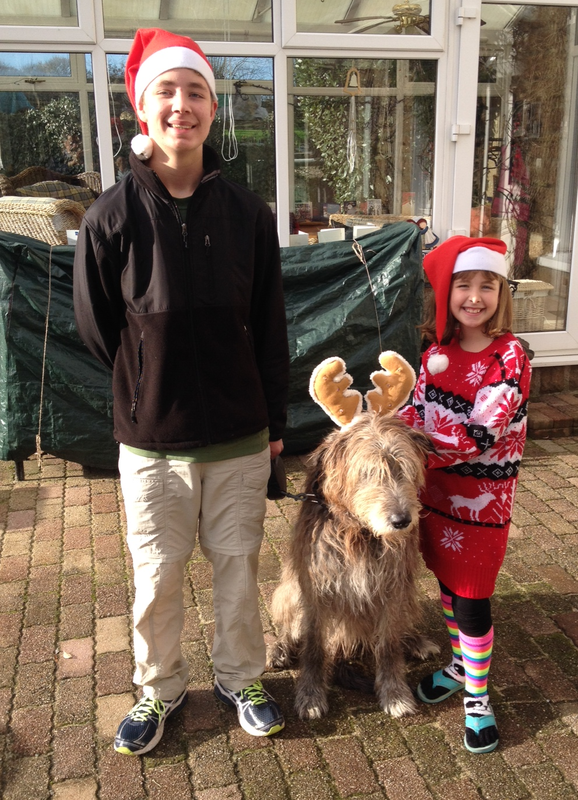 We completed a house-sitting assignment in Normandy, France, where we cared for a sweet and kind nine-year-old Irish Wolf Hound. Our duties included twice-daily walks that took us through fields and past donkeys and horses. The homeowners provided delicious welcome and farewell meals, and because our stay was over the holidays, they even generously gave us presents to open on Christmas morning. 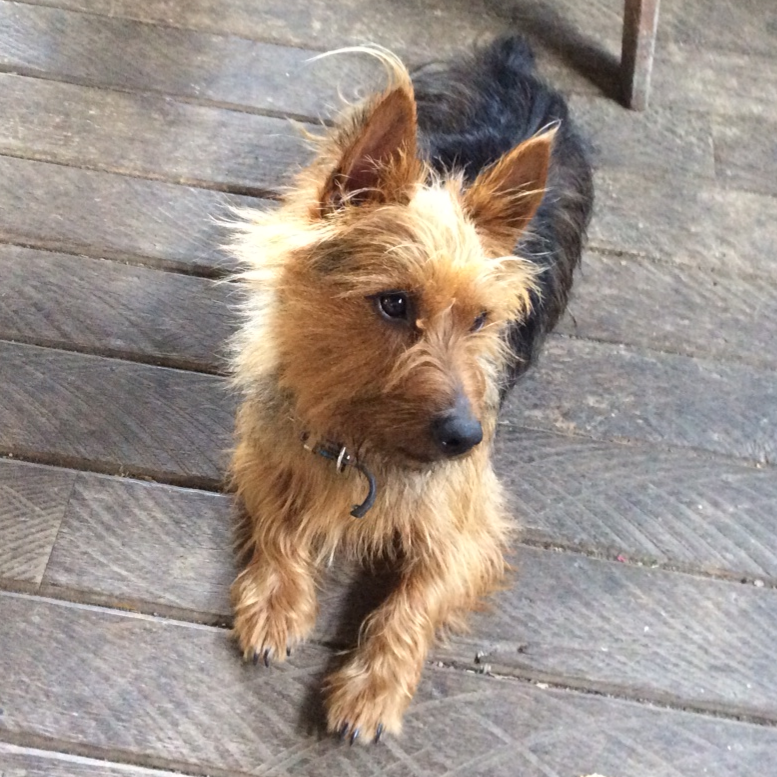 Currently, we are house-sitting in New Zealand where we are caring for a loving and energetic two-year-old Australian Terrier. The home is set in a wonderful location away from town and in the midst of fields filled with cows and sheep. The homeowners have provided special dinners before leaving on their holiday. They are bee keepers, and we have tasted delicious honey from their hives. Our experience is incalculably richer because of our house-sitting experiences. Sure, we have saved some money, but house sitting is beneficial for reasons far beyond finances. We have made new friends around the world — both human and animal. We have encountered life in different locations in ways we never could have on our own. We have tried new foods and shared stories with dear people around the world. I encourage you to consider house-sitting, and if you have any questions, please be in touch with me. This entry was posted in Family Travel, House Sitting, Travel and tagged Family Travel, House Sitting, Travel on January 11, 2015 by Dean Allen.